Giolee manage and treat different waste water like effluent and produced water. Produced water is a complex mixture of organic and inorganic compounds and the largest volume of byproduct generated during oil and gas recovery operations. The potential of oilfield produced water can be a source of fresh water for water-stressed oil-producing countries and the increasing environmental concerns in addition to stringent legislation’s on produced water discharge into the environment have made produced water management a significant part of the oil and gas business. Produced water quality varies based on geographic locations, type of hydrocarbon produced, and the geochemistry of the producing formation. Giolee performs assessment of water quality characteristics of produced water in terms of geographic location & water quality criteria. The samples of the produced water will be tested and analyzed in our accredited laboratory. The management of produced water presents many challenges and can pose significant costs to operators. 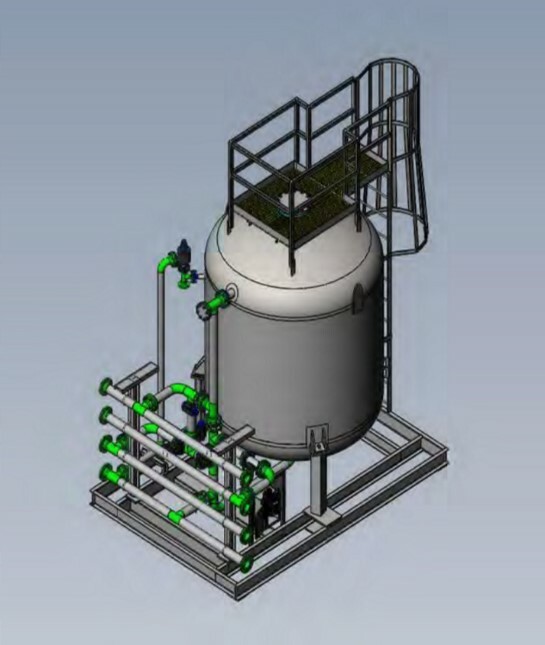 Current techniques for produced water management include several methods such as underground injection either for increasing recovery or disposal, produced water treatment and discharge, evaporation, reuse and beneficial use. Especially for water-parched areas, the large quantities of water consumed during hydraulic fracturing could make shale gas production economically unsustainable as injected water during hydraulic fracturing containing lots of chemicals would contaminate the underground water. The large volumes of flow back water and produced water which are released with shale gas production can pollute the groundwater and surface water if not treated properly. Produced water always contains high concentrations of TDS, metal ions as well as oil and grease. To ensure the injected produced water is confined in the injection zone in a manner that does not contaminate the water bearing geologic formation, produced water needs to be treated before injection. 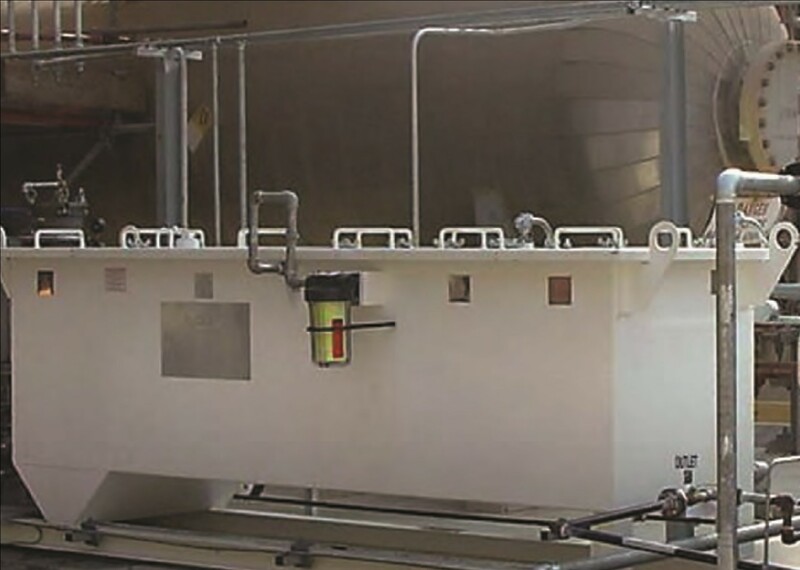 Therefore, to meet the UIC and RCRA (Resource Conservation and Recovery Act) regulations, removal of TDS, TOC, oil/grease, hardness, and metal ions (including ammonia and boron) are the main treatment goals. 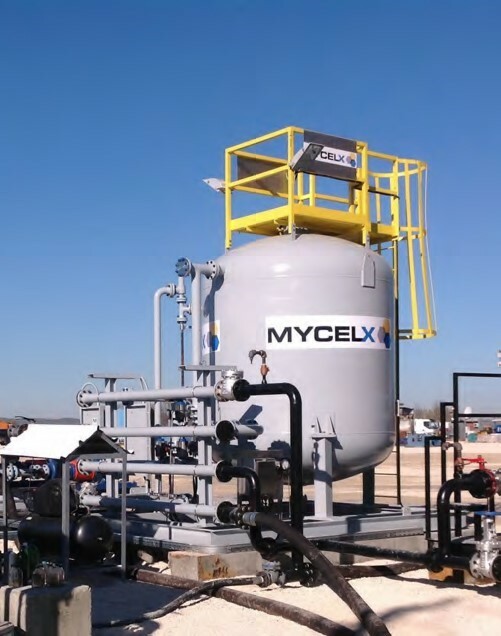 The MYCELX Advanced Coalescer primary treatment system is a vertical pressure vessel that is fed from the production treatment train by existing pressure source. 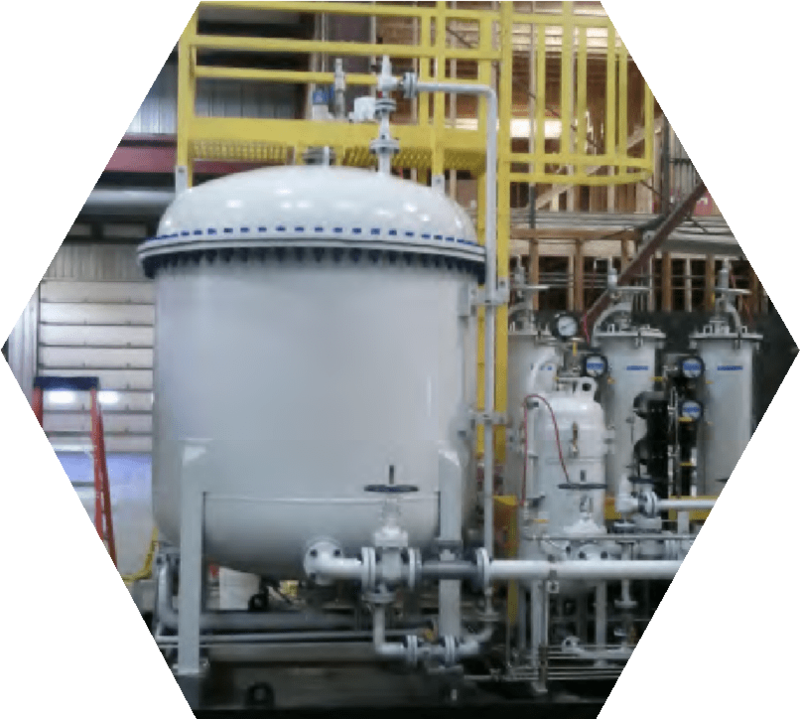 The MAC incorporates the proprietary MYCELX media to deliver superior coalescing and oil recovery when compared to conventional API/CPI Separators. The addition of the MYCELX media coalescing packs greatly enhances the separation and increases the effectiveness of oil recovery. frequency dependent upon inlet loading conditions. The secondary treatment, MYCELX RE-GEN, was designed to optimize the efficiency of the MYCELX Polishers through the use of a proprietary back washable media. 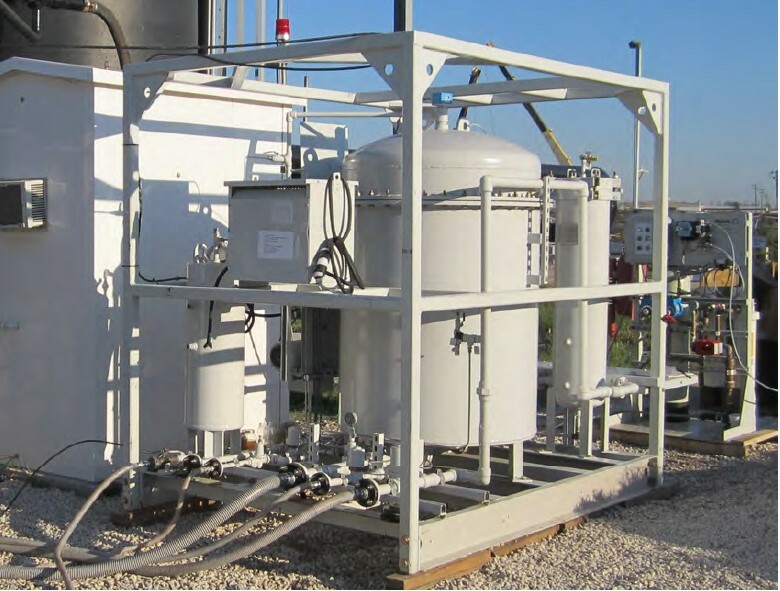 For produced and process water applications, it provides an economically viable treatment option to remove oil and oily coated and suspended solids down to 2 microns. RE-GEN system safeguards polisher filters from premature saturation from solids.